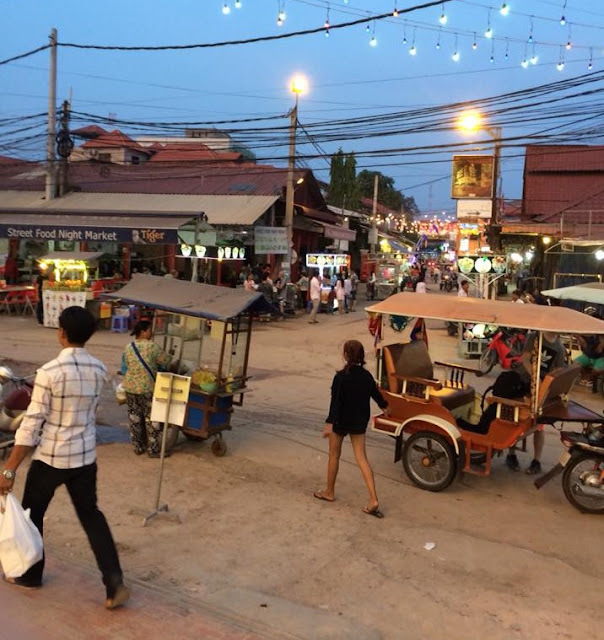 Adventures of Elis: How to spend a week in SIEM REAP, Cambodia. How to spend a week in SIEM REAP, Cambodia. Once a dangerous dictatorship, closed off to the outside world, Cambodia is now fast emerging as one of the big players in Southeast Asian travel. A vibrantly colourful land of smiling faces, extraordinary temples, bustling markets and crazy nightlife - it’s not hard to see why backpackers flock here en-masse. 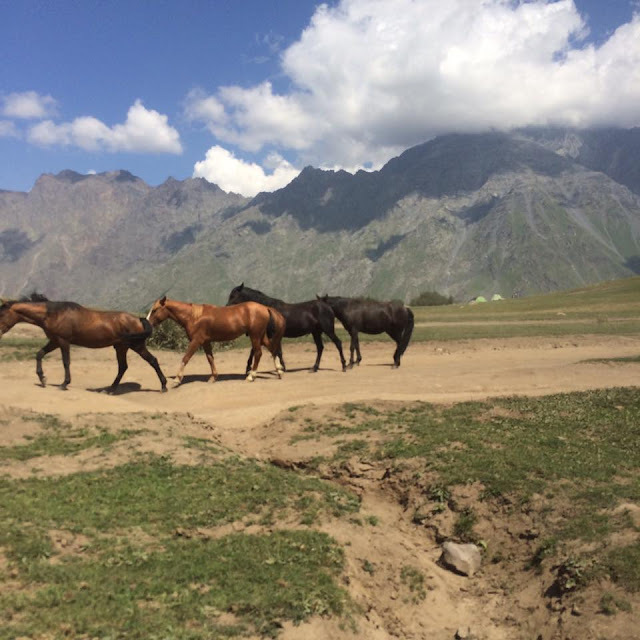 It’s an ideal place for newbie adventure travellers to experience the grit, the colours and the chaos of the developing world in a safe, open-minded and welcoming culture. Travel here gives a real buzz – Cambodia’s lust for life is infectious and uplifting! 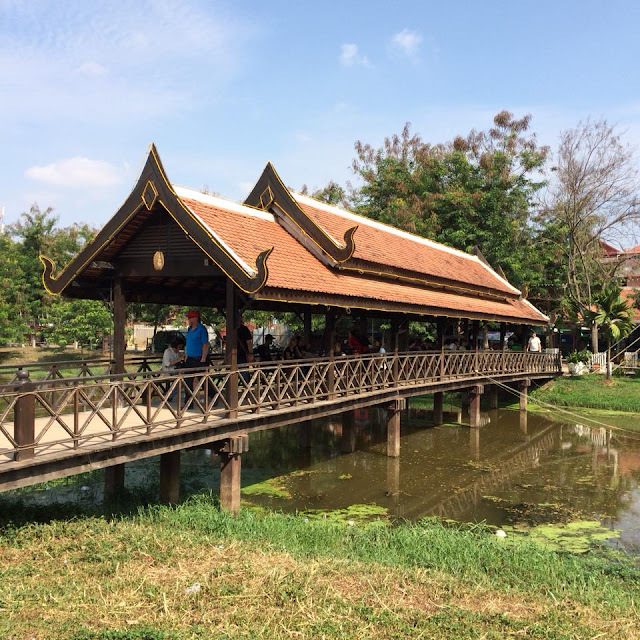 There’s an endless list of things to see and do whilst in Cambodia, but this post will focus on those within easy reach of Siem Reap. To comfortably cover all the sights in this post, I’d recommend a stay of around five days. The jewel in Cambodia’s crown is undoubtedly the colossal and hugely iconic temple of Angkor Wat. This spectacular 12th century masterpiece is the largest religious structure on this planet. Originally built as a Hindu shrine, Angkor Wat quickly shifted toward Buddhism. Now there’s always a worry when visiting such iconic sights that they won’t live up to the hype – I’d dreamed about visiting this place for years and had high expectations! Well, I can safely say it didn’t disappoint. It’s so beautiful it literally gave me goose bumps! It’s an absolute masterpiece of human ingenuity, standing tall and proud above the jungle. Whilst Angkor Wat gets all the glory, it’s not the end of the story. The rainforest to the north of Siem Reap withholds the ruins of an ancient megacity. Upwards of fifty ruined temples, along with moats and citadels nestle amongst the trees. For the more committed culture buffs, there’s quite literally weeks’ worth of sightseeing to be had in this part of Cambodia! 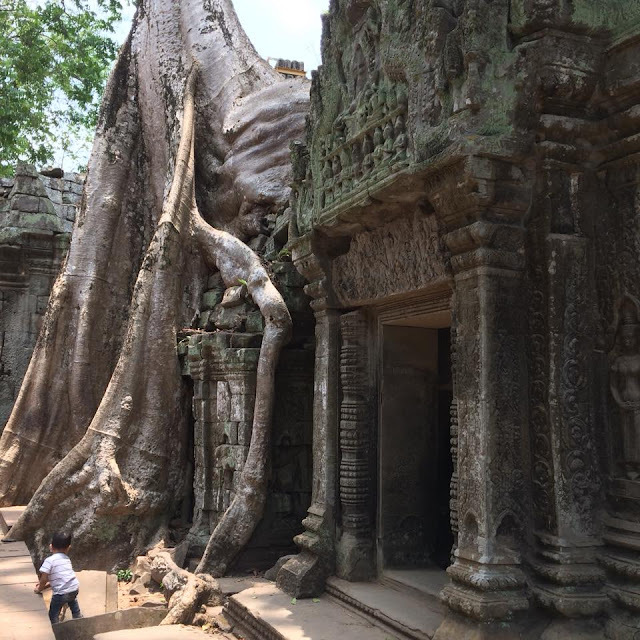 But for those limited to a one-day pass I’d recommend visiting Bayon (the well-preserved centrepiece of the ruined walled city of Angkor Thom) and the stunning vine-tangled temple of Ta Prohm. 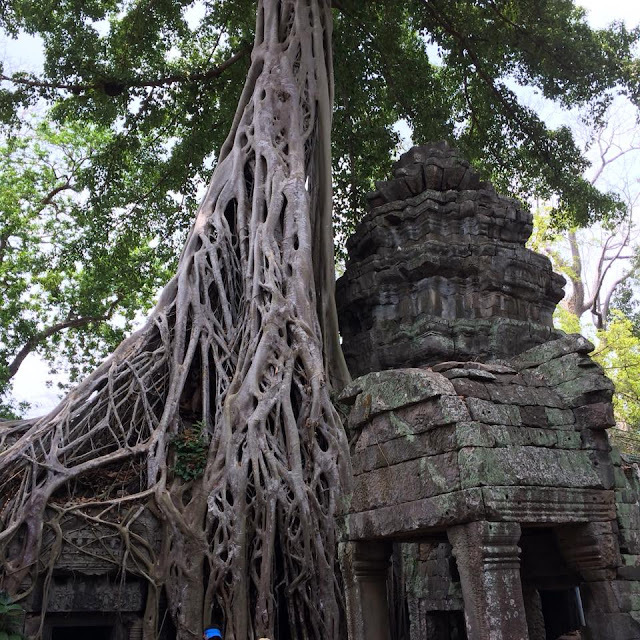 Exploring Ta Prohm made me feel like Indiana Jones! Those who wish to visit the Angkor temples have the option of purchasing a one-day pass ($37 USD), a three-day pass ($40 USD) or for the more fanatical explorers a seven day pass costs $72 USD. There’s no need to book tickets in advance. 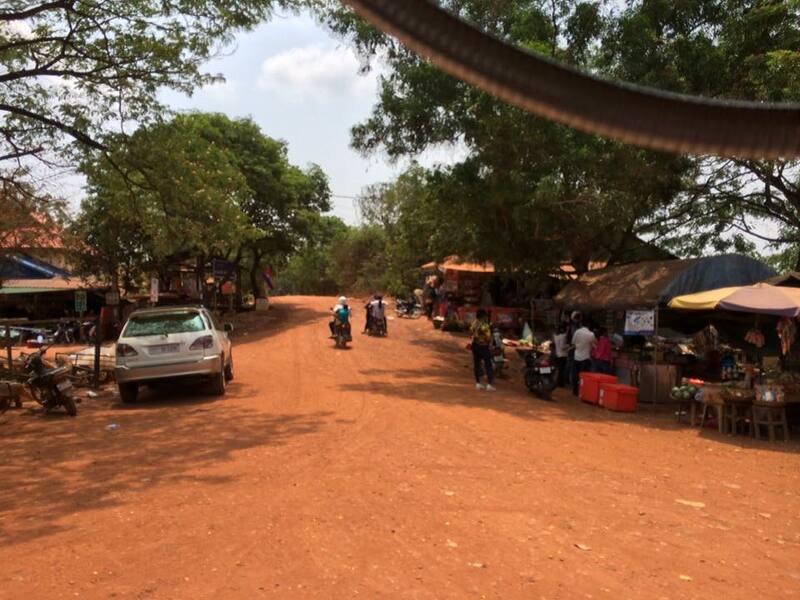 You will also need to hire a driver in Siem Reap – a tuk-tuk will generally cost around $15-25 per day and drivers will wait whilst you visit the temples. These prices are rather high by Cambodian standards, but it’s absolutely worth every penny. The huge freshwater lake of Tonle Sap lies a short ride to the south of Siem Reap. 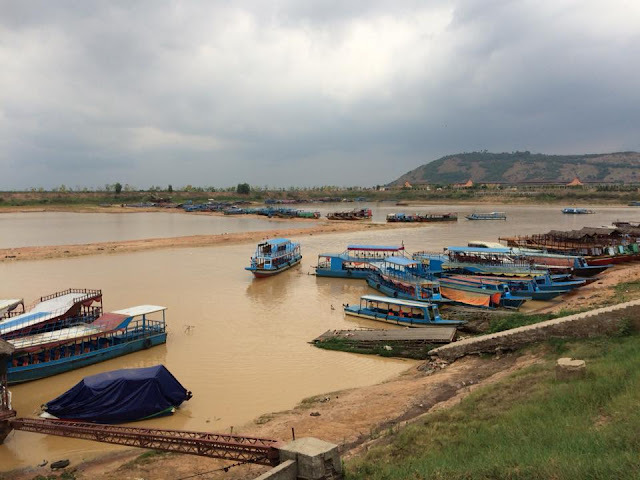 These murky waters are Cambodia’s beating heart - fishing provides food and income to many thousands of people along its shores. The lake expands massively during the rainy season, flooding the surrounding countryside and villages. But villagers have adapted to the dramatically shifting water levels by building their houses on stilts! 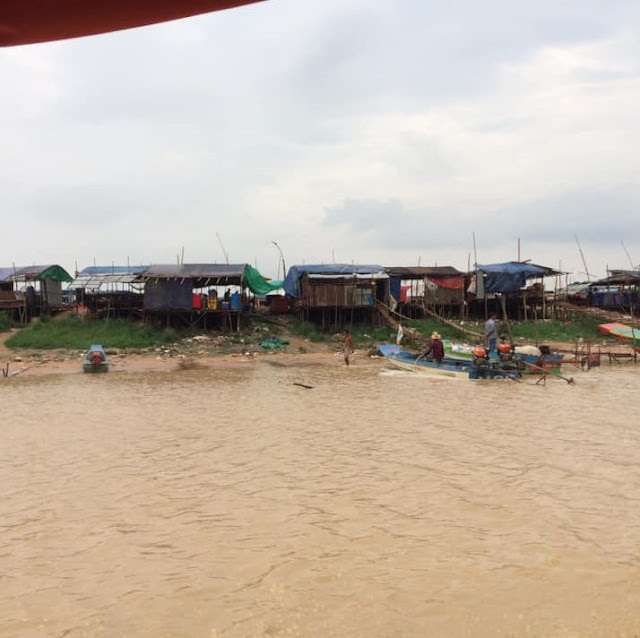 There are several of these so-called ‘floating villages’ relatively close to Siem Reap – most notably Chong Kneas, Kompong Pluk and Kompong Khleang. A daytrip gives a fascinating insight into this intriguing and unusual way of life – you may even see some crocodiles! Chong Kneas is the easiest to reach from Siem Reap and as such receives the highest number of visitors. It’s generally preferable to visit the floating villages as part of an organised tour from Siem Reap, as boat companies in the area have a reputation for overcharging independent travellers! 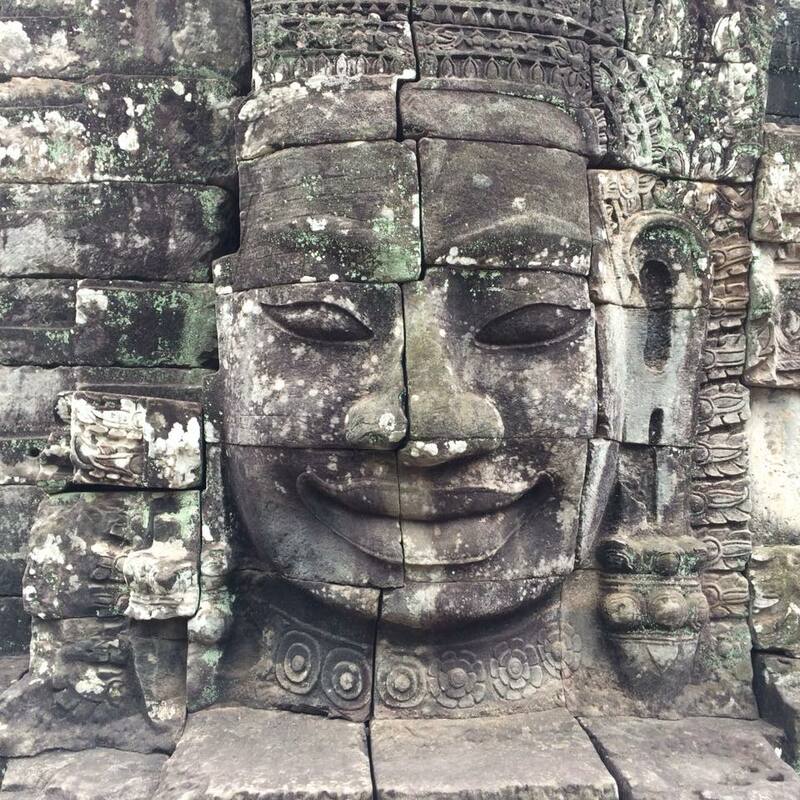 So many people simply use Siem Reap as a base to explore the temples of Angkor. But the town itself has a laid-back charm of its own. If you’re not ‘templed-out’ after exploring Angkor Wat, then there are a scattering of cute and colourful temples and pagodas in the town itself. I found Wat Phreah Prom Rath and Wat Bo particularly interesting. 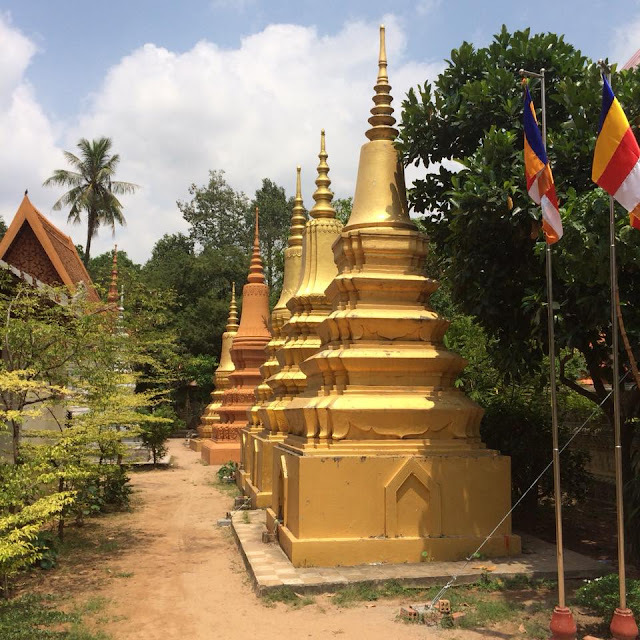 These functioning temples taught me so much about Cambodian Buddhism. And don’t be afraid to ask questions in the temples – I was always made to feel so welcome as a visitor and locals were always willing and enthusiastic in sharing and explaining Buddhist tradition with me! 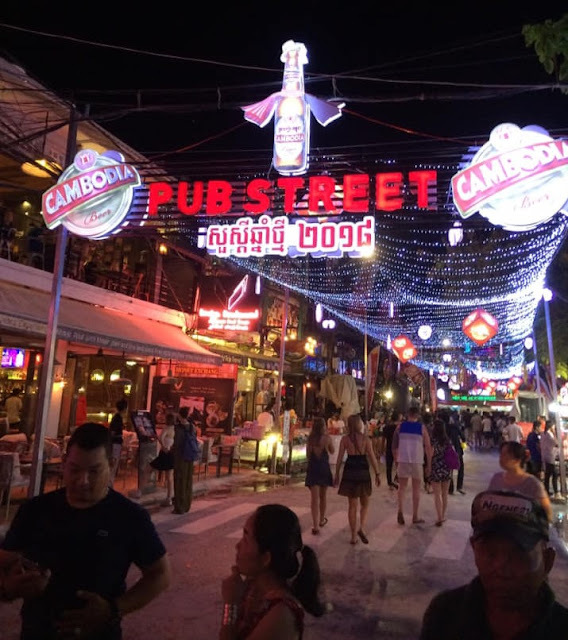 Siem Reap truly comes to life when darkness descends – no article on this town would be complete without mentioning the legendary Pub Street. The town is a magnet for backpackers from every corner of the globe – combine this with cheap beer and you have yourself a pretty awesome party! This continuous strip of booze-filled bars and clubs is easily one of the craziest parties in Southeast Asia. Dancing ‘til the early hours, making friends for life and nursing hangovers in 40-degree heat is all part of the fun of visiting Siem Reap! Before I mention costs, it’s worth noting that the US Dollar is the most widely used currency in Cambodia. There’s an abundance of amazing hostels in the town and dorm beds can be as cheap as $3 USD per night. 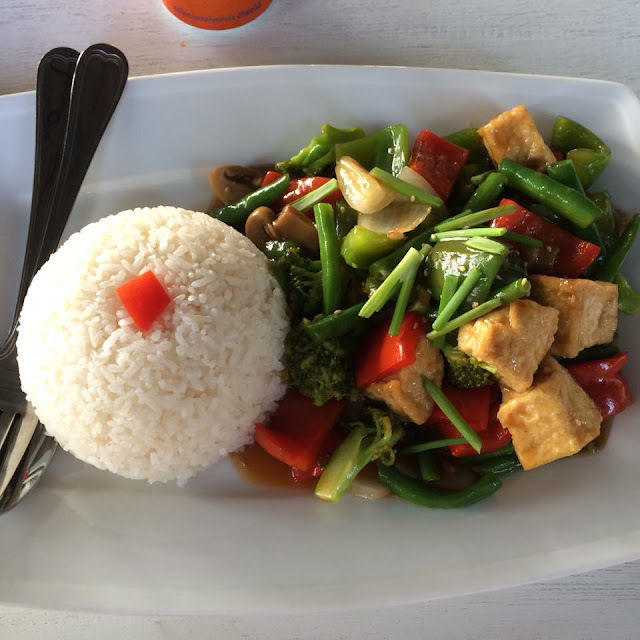 A main course in a mid-range restaurant will typically cost around $5 USD, but it’s easy to find good food for as little as $2. Beer is phenomenally cheap – don’t be surprised to pay as little as $0.50 USD for a pint of local lager. Wherever you need to go – tuk-tuks are your answer! Short trips around town should cost no more than $1.50 USD (although bargaining skills are sometimes necessary!). Khmer food is irresistible - and cheap! 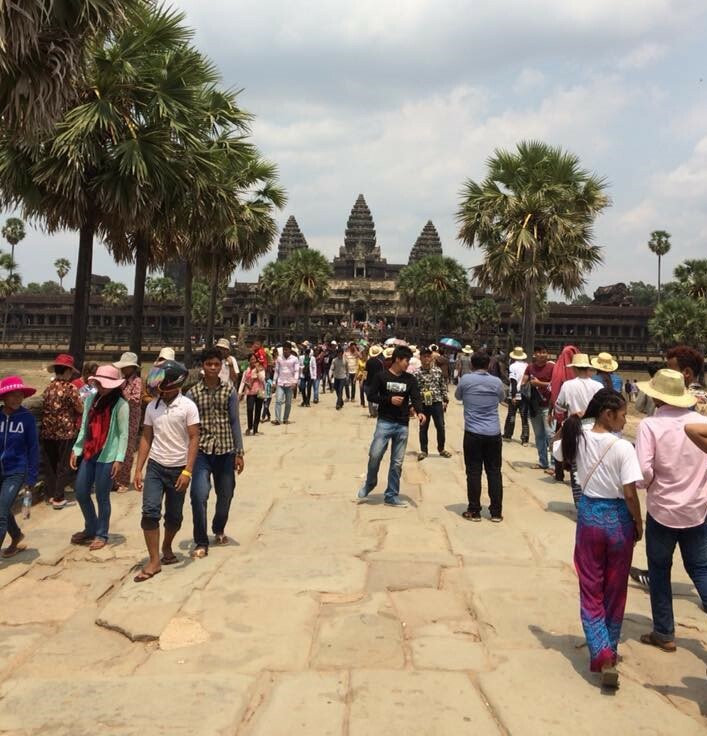 Most visitors will require a visa to enter Cambodia and citizens of most countries can purchase this on arrival at Siem Reap Airport and most land borders. For the visa, you’ll need to provide a passport-size photograph of yourself along with $30 USD in cash (Cambodian Riel is not usually accepted). The visa will be attached to a blank page in your passport. When budgeting for Siem Reap, be sure to account for entrance fees for Angkor Wat. Rural infrastructure can be rather rustic! Put simply, Siem Reap is a backpackers’ paradise. It’s cheap, fun, friendly and bursting at the seams with culture. Whilst most people are drawn here by Angkor Wat, there’s plenty more to keep you busy in and around Siem Reap. It’s the grit and grime, colour, chaos and excitement of a developing Asian nation, in a safe and welcoming environment. It’s the kind of place that will stick in your mind long after you leave – for all the right reasons.